How Young is Too Young For a Beard Transplant? There is no minimum age requirement for undergoing beard transplant surgery. 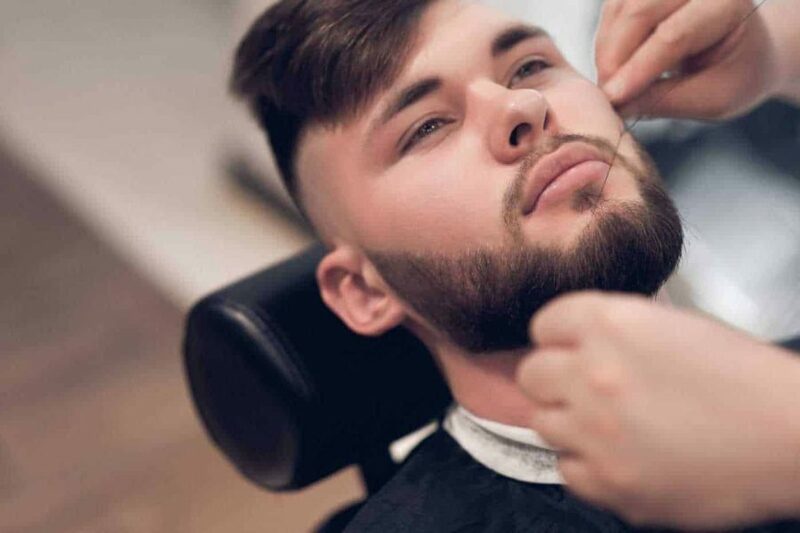 This is partially due to the fact that some men can begin to notice balding or thinning of the beard as soon as their late teens or early twenties. Which makes the question of “how young is too young for a beard transplant?” somewhat complicated to answer. Beard transplant surgery when done by an experienced beard transplant surgeon is very safe. How young you are when this procedure is performed will not increase your risk of negative health effects or serious infection. However, if the procedure is done too early, there are a few unpleasant cosmetic issues that may arise as a result. The most common issue being bald patches forming in areas of the face where the transplants did not occur. Balding or thinning of the beard can happen over a course of years. Meaning that additional bald patches may appear around the existing transplants. The only way to correct is this is by undergoing an additional beard transplant surgery – which can be very costly. Before you receive any type of beard loss treatment, you will need to have a consultation with a beard transplant surgeon to determine whether beard transplant surgery is your best option. If you’re a young man who is looking to have a beard transplant simply because you do not wish to wait for your beard to grow in on its own, the surgeon will more than likely suggest that you wait a year or two to allow your beard to grow in naturally. Sometimes the key to a great looking beard requires nothing more than a little patients. Some men on the other hand will never be able to grow in a full beard on their own. This is not always easy to identify in younger men. An experienced hair transplant surgeon may be able to perform a microscopic evaluation of your face to help determine whether or not your beard will grow in properly. The surgeon will also take into account any family history of beard loss or baldness. If it is determined by your surgeon that a beard transplant is the best treatment for your beard loss, then it is perfectly safe to go ahead with the procedure at any age. Beard restoration has come a long way over the years. If your beard transplant surgeon has determined that hair transplant surgery is currently not your best course of action- or if you simply are uncomfortable with the idea of undergoing hair loss surgery, there are a variety of non surgical beard restoration therapies that the surgeon can recommend as an effective alternative. Want to know your options? A member of our team at The Wimpole Clinic will be delighted to take you through them! Can I colour my hair after transplant?